Mary Bosworth is Professor of Criminology and Fellow of St Cross College at the University of Oxford and, concurrently, Professor of Criminology at Monash University, Australia. She is Assistant Director of the Centre for Criminology and Director of Border Criminologies, an interdisciplinary research group focusing on the intersections between criminal justice and border control. Dr Bosworth conducts research into the ways in which prisons and immigration detention centres uphold notions of race, gender and citizenship and how those who are confined negotiate their daily lives. 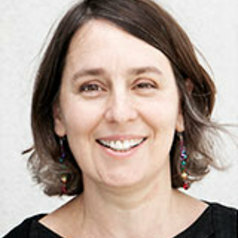 Her research is international and comparative and has included work conducted in Paris, Britain, the USA and Australia. Dr Bosworth is currently heading a five-year project on “Subjectivity, Identity and Penal Power: Incarceration in a Global Age” funded by a Starting Grant from the European Research Council as well as a Leverhulme International Network on External Border Control. Details of both of these projects can be found at the website http://bordercriminologies.law.ox.ac.uk. Mary is the UK Editor-in-Chief of Theoretical Criminology, a co-editor of Routledge Studies in Criminal Justice, Borders and Citizenship, and a member of the editorial boards of the British Journal of Criminology, Race & Justice, the International Journal of Border Security and Immigration Policy and Clarendon Studies in Criminology at Oxford University Press.